OBSERVER Photo by Braden Carmen Dunkirk’s Kymi Nance attempts a layup in transition during Friday’s game against the Olean Lady Huskies at Dunkirk High School. Olean won the game, 56-44. Friday night in Dunkirk was a textbook example of a team digging too deep of a hole to climb out of. Against a team with one of the top scorers in New York State, that climb seemed even closer to impossible than usual. The Dunkirk Lady Marauders fell behind early to the Olean Lady Huskies and could not recover, eventually suffering a 56-44 defeat in Friday’s CCAA Division 1 West girls basketball contest at Dunkirk High School. Dunkirk (10-8, 2-7) scored the first points of the game on a layup by Nadara Odell, but Olean (16-2, 8-2) scored the game’s next six points. Dunkirk’s Amari Carter hit a pair of free-throws to make the score 6-4, but once again, Olean responded with six straight points to jump ahead 12-4. Olean then scored six of the next seven points, followed by a 9-2 run after that before Carter hit a buzzer-beating layup to close out the first quarter. For Dunkirk, it appeared as if the damage had already been done, as Olean held a 27-9 lead after the first quarter. Olean led by double digits the rest of the game, despite Dunkirk outscoring the Lady Huskies in two of the final three quarters. 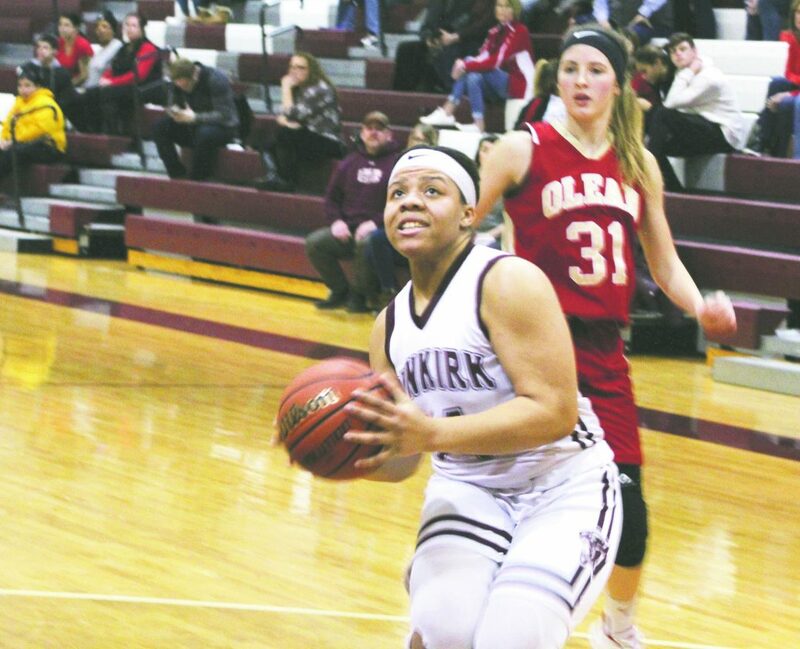 Dunkirk outscored Olean 12-11 in the second quarter and 10-4 in the fourth quarter, while Olean held a three-point advantage in the third frame. However, the game truly was decided before the end of the first quarter. “What’s hard for me is if I just did a better job to get the correct message across, I think we can play with anybody. But right now, we also can lose to absolutely anybody,” said Ricker. 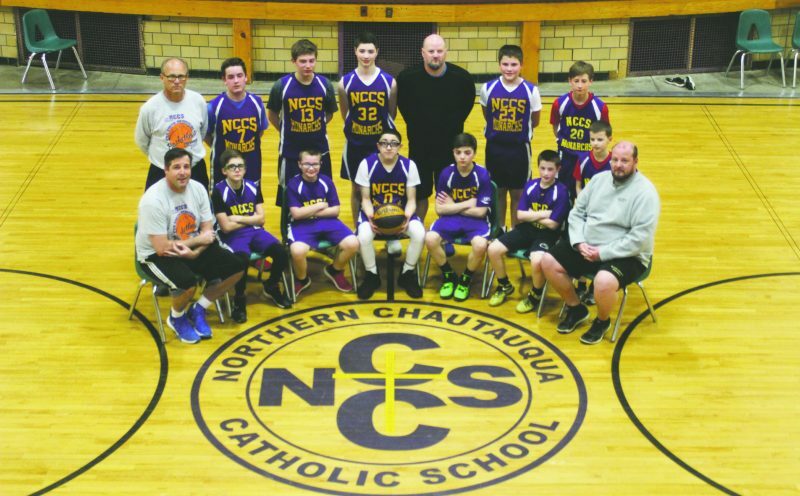 “Playoffs are right around the corner, where if you come out and have one bad day that’s it, and I haven’t found the right words or the right teaching to give them the confidence they need, and that’s on me,” Ricker added. Sara Pfieffer, the leading scorer in Section VI, led Olean with 33 points. While that would be an outstanding game for nearly anyone else, Pfieffer is the one player in Western New York where 33 is actually a below average number in the scorebook. Pfieffer scored 63 points in her last outing, against Maple Grove on Tuesday, in the third highest scoring game in New York State girls basketball history. Prior to that, Pfieffer had 41 against Fredonia last Saturday and 42 against Chautauqua Lake last Friday. 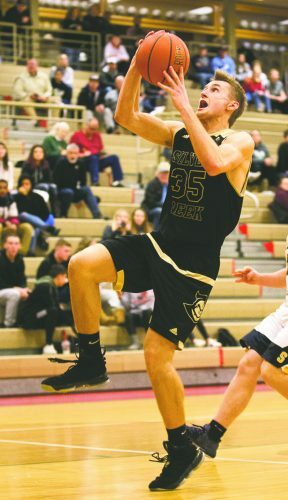 Pfieffer had 18 points in the first quarter on Friday night, but was held to 15 the rest of the way, with just two in the second quarter and three in the fourth frame. Dunkirk, who used all eight available players remaining on the team, saw six players register a point. Odell led the bunch with 14 points, followed by Carter with 10 and Kymi Nance with eight. Pfieffer was the only player for Olean to score in double figures. Justine Brooks was second on Olean with nine points. The Lady Marauders hope for a better result on Monday when they host Maple Grove at 6 p.m. in the final regular season home game this year. Dunkirk finishes the regular season with a non-league game at Williamsville North on Tuesday at 7 p.m.